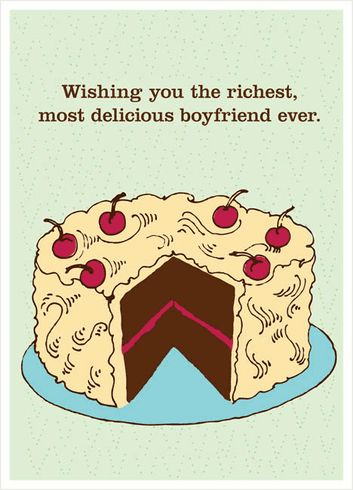 Outside: Wishing you the richest, most delicious boyfriend ever. Inside: Did I say boyfriend? I meant Birthday cake.